(UPM, Helsinki, 20 June 2018 at 10:00 EET) - European institutions have come to an initial agreement on the revised Renewable Energy Directive. UPM Biofuels welcomes the agreement as it creates an obligatory advanced biofuel blending mandate in all EU Member States starting at 0.2% in 2022, double counted, and rising to 3.5% in 2030. 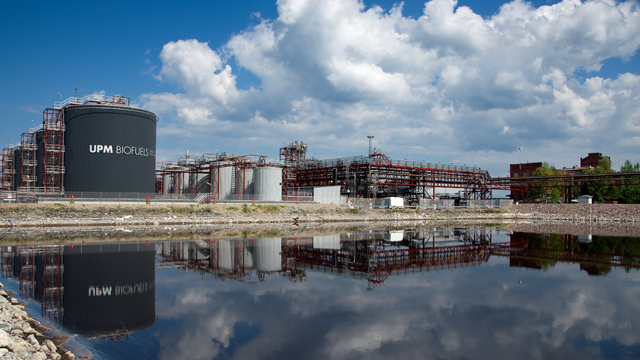 "The UPM Lappeenranta Biorefinery, the world's first to produce wood-based renewable diesel on a commercial scale, has proven the potential as a significant producer of truly sustainable advanced biofuels. UPM BioVerno, which reduces GHG emissions up to 80% compared with fossil fuels, has found a solid market place. The agreement will further boost interest in the most sustainable biofuels and strengthens the position of advanced low-ILUC fuels, such as UPM BioVerno, that have minimal risk of causing indirect emissions or land use change," says Sari Mannonen, Vice President, UPM Biofuels. "We welcome the fact that advanced biofuels are now recognised as a fast-track route to decarbonisation of transport across the EU. We also see that more and more countries are working on their national plans to decarbonise transport, and sustainable biofuels play an important role in achieving the Paris Agreement targets," says Marko Janhunen, Director, Public Affairs, UPM.